Nowhere may seem like just another Yokohama cafe, but as with many of its employees, this apparently innocent eatery leads a double life. 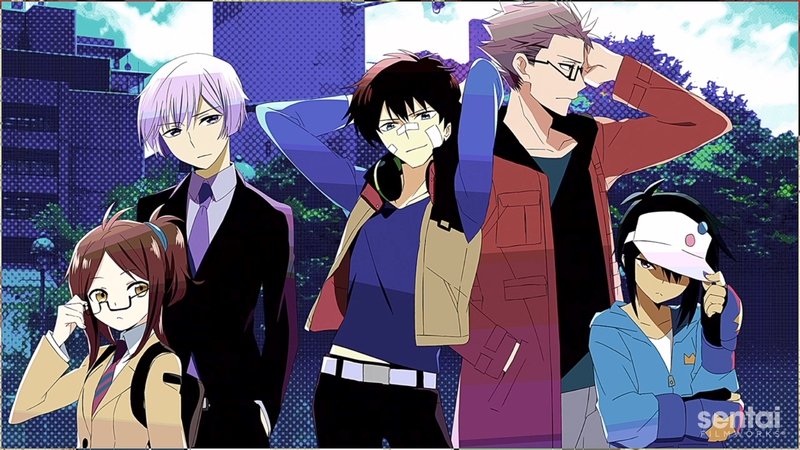 Because Nowhere is also where you can find Hamatora, the mysterious detective agency run by P.I.s who are also M.H.s. That's M.H. as in Minimum Holders, individuals gifted with extraordinary powers and abilities. For the right price, you can hire founder Nice, who moves at the speed of sound, and partner Murasaki, whose super strength and near invulnerability are a significant asset. Of course, with incredible talents like these up their sleeves, Nice may not decide to take a case unless it personally interests him. But when a series of serial murders all turn out to involve other Minimum Holders, that interest is about to become extremely personal. Something monstrous is going on, and Minimum Holders as a class may be targeted for extinction!